“After my mother visited Nirup in Arizona, I met her through her web site about seven years ago. I was in a place of life where I was confused about love and relationships. Nirup responded with what she saw for my path in the future, what I needed to learn along the way, while giving me reassuring and comforting advice. If it had been just one encounter, it would have been worth my time… but my time with Nirup has grown into much more. Since then, I have had many more times where confusion, heartache and uncertainty has appeared. 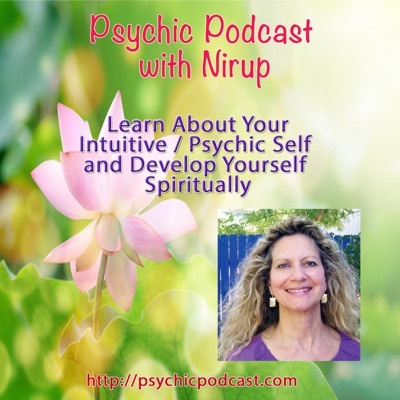 Each time that I’ve reached out to Nirup, she has been gracious, thoughtful and kind. She has never shied away from sharing difficult information with me, but always provided hope and understanding. As I reflect back on the past years, and who I was then and now, I see a great transformation in myself. I’ve developed an understanding of my worth and value in this world and in relationships. I’ve developed a confidence of where my life is going and the beauty that lies ahead. I’ve gained a comfort in ambiguity and not knowing all the answers. I credit much of this growth and development to Nirup. She has become much more than someone on the other side of the e-mails and phone, she has been a thoughtful and sage life mentor to me… I’m grateful for her lessons and her generosity of time and wisdom. – Kathleen M.